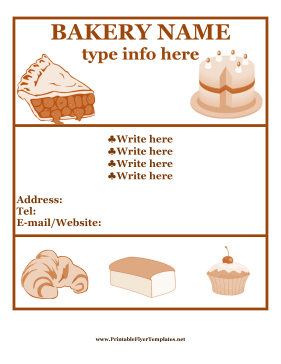 From cakes to croissants, this flyer is perfect for advertising everything your bakery has to offer. It is uniformly shaded in a sepia tone for a classic look. This sign has spaces for your business address, phone, and other important contact information.